Here’s a collection of useful things for building product marketers and other marketers from the wider industry including people to follow on Twitter, research papers to buy or download and videos/webinars to watch to improve your learning. Brickonomics – For all things economics, trends and insights in construction. Noble Francis – Economics Director for the Construction Products Association. He breathes out construction data. Amazing. Nick_Pauley – MD of digital marketing agency Pauley Creative. Paul Wilkinson – If you mixed Construction IT and PR together you end up with Paul. SuButcher – Social media go-to-person in the sector. LizMale – PR lady tweeting everything about green, housing and property market. ewardhunt – MD of Foundation PR, specialising in PR for the property sector. Leonie Thomas – Freelance Construction Marketer specialising in bid writing and tender submissions. Conservengineer – Richard is a Structurual Engineer and tweets about all things heritage & conservation. Fairsnape – Martin is all about sustainability and CSR. Sharpeneer – David is a Structural Engineer with super sense of humour and a very helpful guy. ShropsArchitect – Architect who is always willing to help. Talk to him about #askarchitect too! SnowArchitects – Dave is a cutting-edge Architect. If you want to talk Augmented Reality then Dave is ya man! Noynek – Civil Engineer, useful brain to pick if you ever need to. ArchitectMark – web savvy Architect, always helpful. Dantechnologist – Chartered Architectural Technologist. Here if you ever need to chat to one. ThirlwallAssoc – Landscape Architect who talks about river restoration and sustainable landscapes. studioklaschka – My go-to Architect (Phillipa) for questions regarding specification, products and materials. Rob_Celotex – Technical man over at Celotex. Tweets a lot about the Green Deal and regulations. Great sense of humour too! StephenHamilNBS – Director of Design at RIBA Enterprise. If you have any questions about BIM & NBS Software then he’s ya man. CICCEO – CEO of Construction Industry Council. You just have to follow don’t you? Virtuarch – James is the go-to person for any BIM or Autodesk questions. He’s also rubbish at Fantasy Football. CaseyRutland – Casey for all things BIM. He’s the Associate Director over at Arup. Oatfedgoat – CAD Technician working for a rather large transportation company below ground in London. He’s also lucky at Fantasy Football. Liz1Stanley – Engagement Marketing Strategist over at UBM Built Environment – she manages & assists the UBM teams inbound marketing strategies. ElrondBurrell – Associate at Architype. Elrond talks about BIM and Passivhaus. Another insightful guy to follow. MarkHarris1863 – Chair of Engineered Panels in Construction. Also works for Kingspan. 1863 is not his DoB. JulieDDrill – MD of D-Drill Group and Business Woman of the Year 2011/12. Very passionate about construction. You’ll have some good conversations with her about the industry. @Wheelerjo27 – Senior Policy Advisor at UK Green Building Council. Could be a useful person to quiz if you have any questions about green policies. HuntArchitects – Very helpful architects who are also connected with some of the others on this list. danpitkin – Specification Manager and BIM Cordinator over at AluK GB Ltd. Great chap and very helpful. Also appeared on Construction Marketing Podcast. outsidewrecker4 – David Frise is the CEO of AIS Association of Interior Specialists. cn_tm – Tim is Digital Editor over at CN. CNRebeccaEvans – Editor and CN and also running the #loveconstruction hashtag. CNTomFitz – News Editor at CN. ajrhayman – News Editor at Building. VernOnBuilding – Senior Reporter at Building. WillN_BG – News Editor at Business Green. JoeyGardiner – Assistant Editor at Building. SaraBean2 – Freelance Journalist and Editor focused on green issues and the built environment. AlexSmith68 – Editor of CIBSE Journal. Grace_Barbour – Interim Editor for Barbour News. Get on their blog!! WRStirling – Will is the Managing Editor of The Manufacturer mag. luke_cross1 – Editor at Social Housing mag. AnnaWinston – Online Editor at BDOnline.co.uk. AmandaBaillieu – Editor-in-Chief at Building Design. elliswoodman – Executive Editor at Building Design. RoryOlcayto – Deputy Editor at Architects Journal. tcmurray – Christine, Editor at Architect Journal. BMJnet – Fiona is the Editor in Chief of Builders Merchant Journal. CNKatieBarker – Features Editor at CN. MatHamerville – Digital Media Manager at Hamerville mags. UW_Megan – Megan Darby is the Energy Editor over at Utility Week mag. LewisBMJn – Senior Reporter for BMJ, the oldest-running magazine for builders, timber and plumbers merchants. Will Hurst – Will is the Deputy Editor at AJ. Pauley Creative Digital Marketing for Construction Blog (of course!) – I don’t really need to explain this one do I? JustPractiscing – Su Butchers’ blog on social media in construction. pwcom.co.uk – Paul Wilkinsons’ blog on PR, Tech & marketing in construction. See the Wizard – Mark is based in the States. He blogs and tweets about building product marketing. Brickonomics on Building – Brians’ blog focusing on housing, construction and property trends. Lot’s of charts!! Construction Products Association Blog – for all things products and industry trends. SpecifiedBy blog – Building product specification blog run by SpecifiedBy. DesignBuildings – WikiPedia for the Construction Industry. Everything is in here!! Sharpeneer – David Sharpe (as above) his blog all about structural and civil engineering matters. Leonie Thomas Construction Bid Writing & Marketing – all about bid writing and marketing in construction. Building Design Expert – Excellent blog contains so much useful info for marketers. Constructioncode by Stephen Hamil – a must follow blog if you’re wanting to know more about BIM and the on-goings over at NBS. Fairsnape – great read containing blogs on Green Deal, regulations, standards and CSR. BIM Blog by Bond Bryan Architects – Fascinating new blog, a must follow on Twitter also! Greenspec – comprehensive information site for everyone in the building products sector. Building Design Expert – Super blog and resource all about design and construction. Follow @BD_Expert on Twitter too. SpecNews by SpecifiedBy – a crowdsourcing site where you can upload your own content to share with the specification community. More info here. Entrepreneur Architect – A blog dedicated to inspiring success in Architecture for small firms. Construction 2025 Strategy – worth a quick skim. An Economic analysis of the Construction sector – ideal for anyone new to the industry. Basically, construction is important to the UK economy. Social Media Ebook for Marketers in Construction by me and the Pauley Creative team. 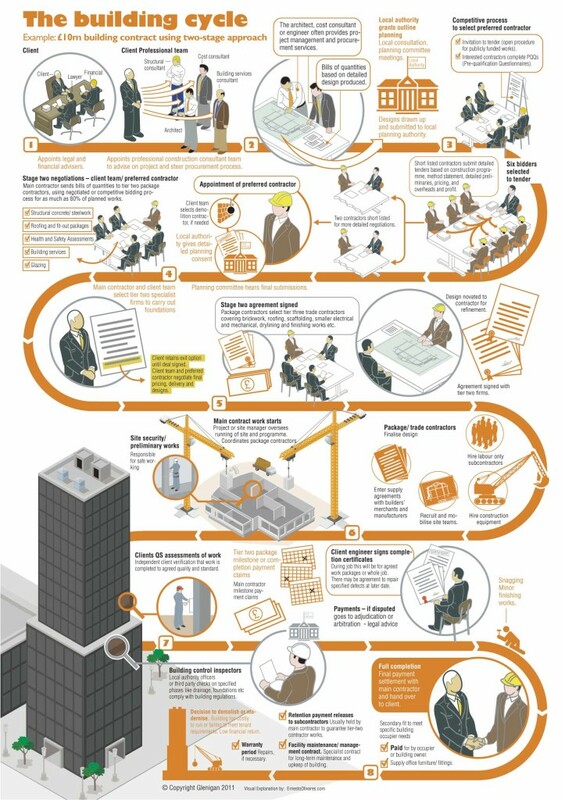 RIBA Plan of Work – handy resource to understand the stages in which architects and designers work to. CIMCIG Knowledge Hub – various bits of research to download. Online Building Regulations – SpecifiedBy has converted the Building Regulations Approved Documents into web format to make them easier to work with, reference, and link to as necessary. Full Stack Marketing Tools for Marketers – Wonderful list of must have tools for marketers by Craig Sewell. WhatDoTheyKnow – a site dedicated to the Freedom of Information Act. If you can’t find something, request it by asking a variety of organisations such as local authorities. RIBA Bookshops – useful if you fancy buying a book on building materials and general construction industry info. Building Regulations – no doubt the products you are marketing will have to conform to some sort of Building Regs. You can find them all here. This webinar focuses on what to look for on your website to know it has the basics of SEO. Many website are launched with no SEO and then marketers find that their website is no longer visiblie in search engines. Watch this webinar and then perform the same things on your website to see if it has the basics. Have I missed anyone or anything? 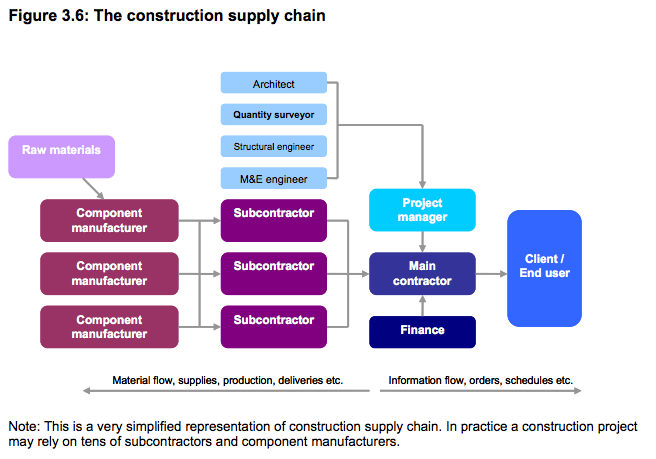 There you have it….if you know of a resource which would be useful for anyone in building products or in the wider construction marketing field then please do leave a comment below or get in touch! Thanks Leonie. Please do let me know if you think there’s something worth adding to the list for others to use/read/follow. Thanks for this, its a great section and so useful. Although if you could amend it so the links they open in a new window it would be perfect. I kept loosing your site while I was browsing around.